Serving others is a great way to show compassionate care to those with great needs. It doesn’t take much to volunteer with Sunday Breakfast Rescue Mission, and by doing so you are impacting lives of homeless men, women, and children for the better! Review the below service opportunities and sign up for a shift today! There are a host of ways you can get involved at Sunday Breakfast that utilizes your unique talents and gifts. You can sign up as an individual or gather your friends and colleagues to volunteer as a group. In addition to meeting basic life needs for men, the Sunday Breakfast Rescue Mission enables those men who are committed to a positive life change to address their problems through an intensive 16-month program. The purpose of Wayne Hall, the women’s ministry of Sunday Breakfast Rescue Mission, is to teach women how to restructure their lives according to the Word of God. Volunteer opportunities for groups with Sunday Breakfast Rescue Mission take place at our Center City and Germantown locations. 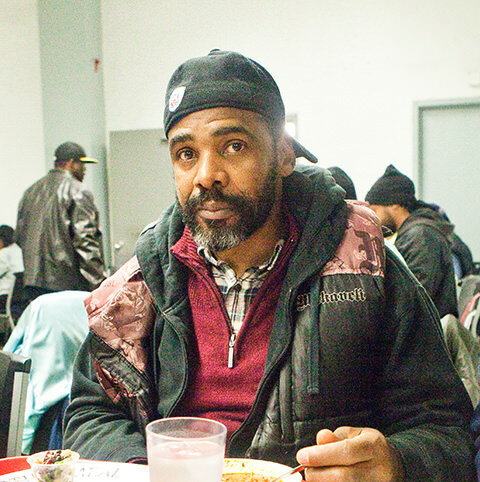 Sunday Breakfast Rescue Mission has ministered to the physical and spiritual needs of the homeless and disadvantaged in the Philadelphia area since 1878.